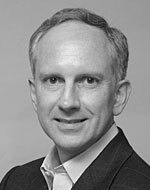 Barry Jaruzelski is a thought leader on innovation for Strategy&, PwC’s strategy consulting business. Based in Florham Park, N.J., he is a principal with PwC US. He works with high-tech and industrial clients on corporate and product strategy and the transformation of core innovation processes. He created the Global Innovation 1000 study in 2005, and in 2013 was named one of the “Top 25 Consultants” by Consulting magazine. With careful attention to six key areas, companies can make the most of their R&D investment and outpace the competition. Will Stronger Borders Weaken Innovation? The flow of talent, investment, and ideas that has boosted companies’ global R&D efforts may soon be impeded by the rise of economic nationalism. Investment in agricultural R&D is essential to feeding the world’s growing population. A new survey examines how political and economic shifts can affect corporate innovation. The world’s largest innovators are shifting the focus of their R&D investments from products to programming. See also “How Non-Tech Companies Are Joining the Software Revolution — in Pictures." A new survey examines trends in R&D spending. Asia is now the top regional destination for R&D spending, followed by North America and Europe. See also Interactive: Where Companies Spend Their R&D Money. Ten years of research reveal the best R&D strategies for the decade ahead. Booz & Company’s annual study of R&D spending reveals the tools that are transforming innovation—from customer insight to product launch. An innovative approach to managing product portfolios—the strong-form model—can help companies stay ahead of change. The early stages of innovation can be challenging. But Booz & Company’s annual study of R&D spending reveals that successful innovators bring clarity to a process often described as fuzzy and vague. With merger and acquisition activity heating up, here’s a due diligence checklist for regaining clarity. Booz & Company’s annual study shows that spending more on R&D won’t drive results. The most crucial factors are strategic alignment and a culture that supports innovation. Fred J. Palensky, chief technology officer at one of the world’s most innovative companies, explains how to foster the ongoing cross-pollination of ideas. Combining agile up-front processes with a lean approach to the back end can help companies outperform the competition. To build your capabilities and cast a wider net for ideas, you must figure out which of the three types of innovation strategies you already have — and design your R&D approach accordingly. Booz & Company’s annual study of the world’s biggest R&D spenders shows why highly innovative companies are able to consistently outperform. Their secret? They’re good at the right things, not at everything. Booz & Company’s annual study of the world’s biggest corporate R&D spenders finds that most companies have stuck with their innovation programs despite the recession — and many are boosting spending to compete more effectively in the upturn. Strategies to improve working capital deficiencies and unearth excess cash from corporate balance sheets. The Global Innovation 1000, Booz & Company’s award-winning annual study of corporate R&D spending, is the most comprehensive assessment of the influence of R&D on corporate performance. Booz & Company experts will discuss this year’s findings. Distinguishing this study from those of previous years, they will identify flows of innovation spending across national borders and characteristics of innovation networks that correlate with higher performance. This year’s annual Booz & Company study of corporate R&D spending reveals, for the first time, where in the world the money is being spent — and why. The Global Innovation 1000, Booz Allen Hamilton’s annual study of the world’s largest corporate R&D spenders, continues to be the most comprehensive effort to assess the influence of R&D on corporate performance. Booz Allen experts will discuss this year’s findings, including trends in R&D spending across industries and geographies. From their research into the link between innovation strategy and corporate performance, they have identified two key performance differentiators: customer focus and alignment of corporate and innovation strategies. They’ve also determined the three most prevalent innovation strategies and the implications each has on capability building. Booz Allen Hamilton’s annual study of the world’s largest corporate R&D spenders finds two primary success factors: aligning the innovation model to corporate strategy and listening to customers every step of the way.